Dr. Catsby has launched an innovative bowl that is preventing whisker fatigue in cats globally and will help to put an end to their mealtime misery once and for all. NEW YORK - Feb. 10, 2016 - PRLog -- It’s safe to say cat ownership is on the rise! According to a survey conducted by Nestle Purina, close to half of 1,000 survey respondents in the millennial age range (18 to 34) said they own cats. People enjoy sharing their home with felines and want to provide their cats with a happy and healthy lifestyle. Whisker fatigue is a common problem cats face, yet is often overlooked. Dr. Catsby has launched an innovative bowl that is preventing whisker fatigue in cats globally and will help to put an end to their mealtime misery once and for all. 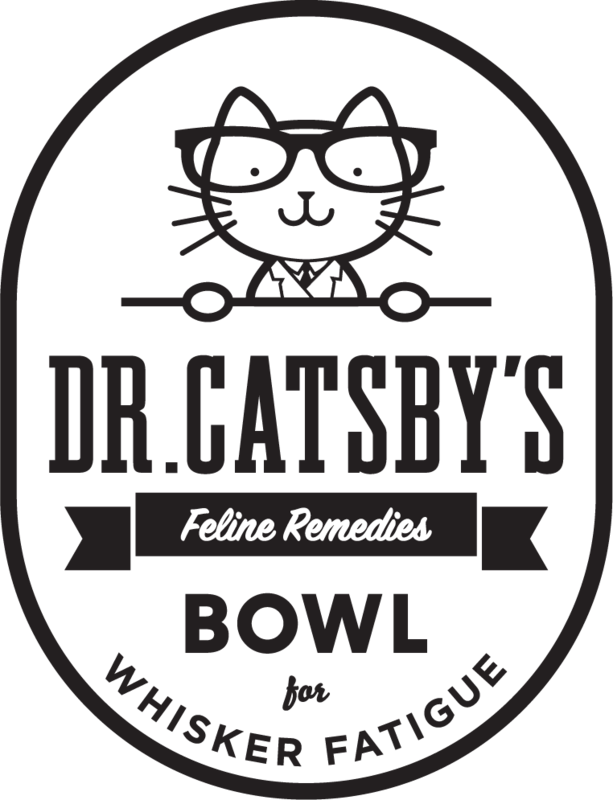 Learn more about Dr. Catsby’s Bowl here: http://drcatsby.com/. Cats are relatively quiet creatures and have evolved to hide their pain. Because of this, their analgesic needs are sometimes ignored or forgotten. Often cats are stressed during mealtime due to eating from a bowl not adequately designed to accommodate their delicate whiskers. A feline’s thick, long whisker hairs are pretty remarkable and are one of the creature’s most important tools. There’s a sensory organ called a proprioceptor at the base of each whisker that sends ultra-sensitive tactile messages to the brain and nervous system. These proprioceptors allow whiskers to detect things like vibrations and the lightest of touches. In fact, the cat’s whiskers are so superbly programmed that if they move even 1/2000th of the width of a human hair, a signal is triggered and sent to the cat’s brain. With this said, their extremely sensitive whiskers can become easily fatigued by contact with objects, such as the sides of their food bowl. Cat experts believe this could be the reason for a domestic cat’s need to always have their bowl filled to the top. Signs of whisker fatigue can vary from acting aggressive towards other animals in the house, being hesitant to edit despite hunger, eating primarily from the center, abandoning the rest, and leaving a mess behind on the floor. "No one recognizes this problem in their cat," says inventor and cat man Loren Kulesus, "Until you do an A/B test at home. Most cats prefer the Dr. Catsby bowl." Dr. Catsby’s is an ergonomically designed feeding bowl that helps alleviate whisker fatigue by using a low and shallow configuration which provides easy access to food without pulling back the cat’s whiskers and causing discomfort. Retailing for $19.99, it’s a safe, simple, and affordable solution to a common and painful problem. The stainless steel finish is resilient to bacteria, easy to clean, and raised high enough off the floor to make eating healthier for your cat. Designed from the feline perspective, Dr. Catsby’s stainless steel bowl protects against wash-proof bacteria. Over the years, stainless steel has been proven to be the safest material for food. Durable, sanitary, rust-free and non-leaching, stainless steel bowls can last a lifetime and save money in the long run. Dr. Catsby’s clean and simple design is a cinch to wash and will fit in a variety of home decors. Some of the most popular food bowls on the market are plastic; however unknown to many, they can be the most dangerous bowls with which to feed your pet. The toxicity of chemicals, like Bisphenal A (BPA) or Phthalates (plasticizers) can leach from the plastic into your cat’s food or water, potentially exposing them to hazardous chemical with harmful side affects. Many cats develop a rash or “chin acne” from eating out of plastic bowls. According to About.com, “Plastic food dishes have long been suspected as a culprit in chin acne. Plastic is a magnet for bacteria and dirt that work their way into scratches and nicks, reinfecting your cat and/or spreading bacteria to other cats in the household.” Overall, plastic is far from fantastic! There are two patents pending on the Dr. Catsby’s Bowl: a utility and a design, as the bowl was derived from the cat’s measurements. It’s more than just a bowl; it’s an established thought! Learn more about Dr. Catsby’s: http://drcatsby.com/.